Redeem it at by clicking the image below! Munchery answers “What’s for dinner?” with nourishing, affordable, chef-cooked meals delivered right to your door. Munchery chefs create dishes everyone will love. They slice and dice, chop and mix, sauté and roast in Muncheries local kitchens, cooking up thoughtful, tempting dishes which are sure to satisfy even the most discerning palatte. Each chef has their own style, which brings tons of variety to their daily menus. Munchery provides gourmet meals which range from Chickpea and green olive Tajine, to Lasagne Bolognese. Spice things up with items such as Thai tofu salads, pan roasted chicken breast, Carnitas tacos, and finish things off with a double chocolate chip cookie. Dont forget to order something to wash it all down such as a coconut water, fresh squeezed OJ, or a freshly pressed Kale Juice. Menus change daily, so variety is never an issue. Planning for an adult meal for two? No worries, order from a wide selection of delicious wines to pair with your dish! Munchery’s team of chefs are local, professional chefs who come from a wide variety of backgrounds. Many have experience at well-regarded restaurants, while others have run their own catering businesses or worked as private chefs. All of Munchery’s meals are prepared in certified commercial kitchens. Their goal is for you to always be 100% satisfied. The chefs at Munchery use the freshest, seasonal ingredients in their meals. Often, they will source their ingredients from local, sustainable farms. You can easily know what’s going into your meal by going to the meal description and clicking on the various ingredients and sources. Unlike a traditional restaurant with a fixed menu, Munchery chefs’ menus are constantly changing, which gives you great variety and seasonality. More selection means that you’ll never get bored with Munchery’s offerings. Vegetarian, Vegan, and Wheat-Free options? Meals are tagged with an orange label marking them as vegan, vegetarian, wheat-free, nut-free, dairy-free, etc. Look for these tags to determine ingredients and allergy restrictions. Please note that meals are prepared in a kitchen whose environment contains nuts, wheat, dairy, etc. 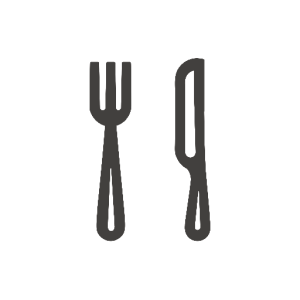 Though best practices are used when preparing the meal, inadvertent cross-contamination may occur. Is there a list of ingredients and nutritional info behind each meal? Ingredients are listed as part of the information for each menu item. 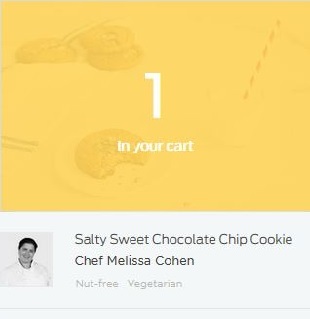 On Munchery’s menu, click on an item, and click the Ingredients tab (hint: you can also press 3 to jump to the tab). Meals are labeled as vegetarian and wheat-free to help you order according to your preferences. Munchery currently does not offer calorie counts on the meals. Munchery is working hard to make full nutritional information available for all their meals. Are you sure Munchery is will provide me with the quality food? Although we cannot vouch for every employee and chef at Munchery.com, we can say without a moment of regret that the food from Munchery is healthy (depending on what you pick), tasty, and very convenient. What’s more likely to happen than receiving a terrible meal from them is the increasing in weight from the convenience of the entire service. 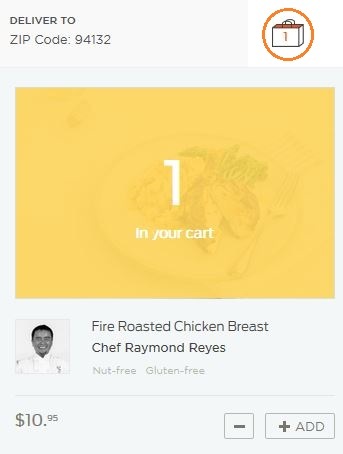 If one never has to leave their own home, never needs to step out of ones car, never needs to walk through the aisles of a grocery store to choose ingredients (if you want groceries delivered to your door, check out www.instacartcoupon.com for $10 and free shipping off your first order! ), one will very likely start gaining some weight because of the inactivity! This is more likely to happen then receiving a terrible meal from the munchery. Visit Munchery’s website or use their app to order your meal. Choose from main dishes, sides, salads, desserts and drinks. Healthy and tempting kids’ meals, too. Menus change daily, so there’s always something new to try. Meals arrive on-demand or you can schedule delivery up to a week in advance for beyond-easy meal-planning. Click on “Today’s Menu” on the left side of the Munchery menu page. Choose your desired delivery date in the drop down menu and you’ll be taken to the menu for what the chefs are preparing on that day. Proceed through checkout and you’ll receive your meals when you want them. Save time. There’s no need to place several separate orders if you want to get dinner for a few different days. You can compile and place an order for several days in a week all at once. Just select items from the Daily Menu page of each day you would like to receive your meals, add the items to your shopping cart, and proceed through checkout when you’re ready. 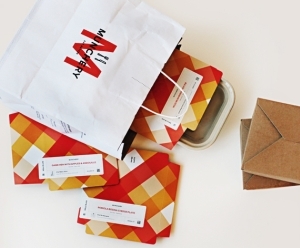 Munchery will handle the logistics and you’ll get your meals on your desired days. Browse menus that Munchery’s chefs post for each day. There’s a different menu for each day of the week. You can purchase items across different days and chefs, all in the same order. You can order for that night, the next day, or even a few days out of the week. Meals are always made fresh daily. Payment is handled via credit card or PayPal. iOS users have the additional option of choosing Apple Pay. Tips for your driver can be added no matter how you pay. For delivery, choose a delivery window and Munchery’s driver will send you a SMS shortly before they arrive. There is a small delivery charge depending on your location. This is Munchery’s delivery program, currently in selected ZIP codes in Munchery’s service areas. Order across their entire menu and theyll deliver dinner within 20-40 minutes from the time you place your order. Can I cancel after I order? You can cancel an item or the entire order as late as 10AM on the day of your delivery by going to your Past Orders within the Munchery web site. If you miss the cutoff, just contact Munchery and they will try to accommodate you as best as they can. Refunds can take up to 3 days before they are reflected on the payment method. Applicable delivery charges are also included in the refund. Munchery’s order cutoff times depend based on your location. Enter your ZIP code at the top of their webpage to find out when you need to order for same-day delivery. The Cooler Drop-Off Service is a free program that allows Munchery to drop-off your meals in a safe and secure manner, even when you’re not at home. Instead of receiving a delivery in person, you can place a cooler outside your home for them to drop-off your delivery. They will place your meals inside the cooler. If you purchase a cooler from Munchery, they will also include a cool pack to keep the meal within food temperature safety guidelines. 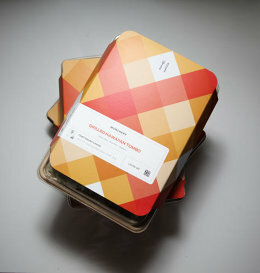 Munchery meals are always prepared fresh. They also have been promptly cooled after preparation to ensure that you receive an excellent meal requiring just a quick re-heat before you eat. Munchery’s Cooler Drop-off Service extends that freshness in a safe and convenient way. Please note: You’re responsible for providing a safe and secure cooler for the drop off. Once a meal has been dropped off, you will receive a text or phone call notifying you of the delivery. 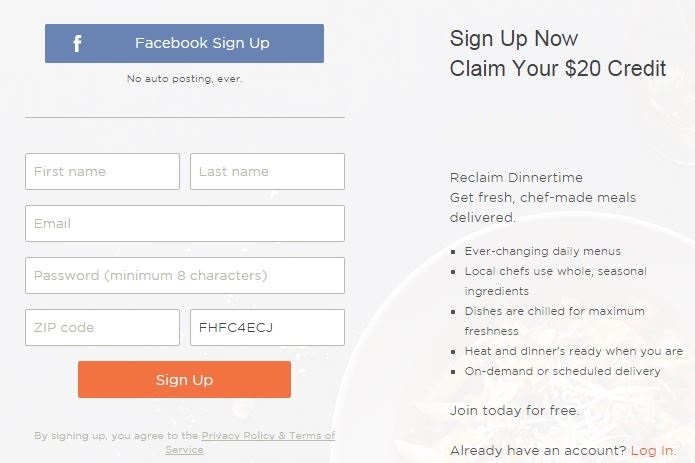 Use the link above to redeem $20 off your first dinner. Coupon code is guaranteed to work! 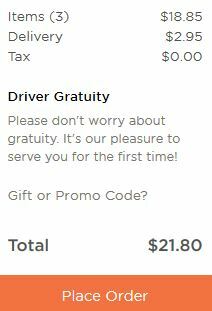 The interesting thing about Munchery is that they provide its current users with benefits such as being able to refer their friends using their promo code in order to grant them discounts and free credits (in this case, $20 off their first munchery order) for both the referer and the referee. 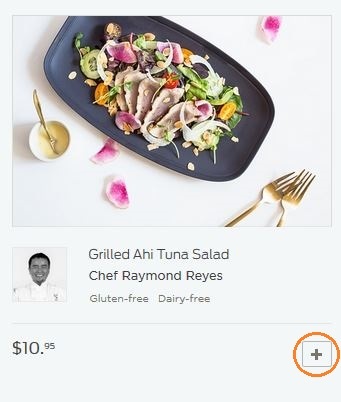 It’s a great promotion for Munchery to use in order to get more users and it also provides the incentive for current users to keep using Munchery. A perfect win-win proposition for the company! Now obviously, the reason why were posting our promo code for others to use is so that we receive a credit to our own personal account, as well as provide others with a discount code of their own to use for personal munchery use. $20 dollars credit is enough for a first dinner, snack, or even just to try munchery once. Click on the link provided above, the link will take you directly to the Munchery website sign up form. Once there you will see a screen similar to the one shown below. Next, fill out your contact information and click sign up. The referral code will have been automatically filled in for you to receive your $20 free credit to your account! You don’t even need to type in your Munchery promo code manually! …and get $20 free using our Munchery promo code! Begin to browse the items available on Muncherys menu. When you’ve found something you would like, click the ‘+’ icon to add it to your cart. Once the item has been added to your shopping cart, the image will change and look like the image below. After you’ve finished adding the items you want to order, click the cart icon at the upper right-hand side of the website, it looks like a shopping bag. After clicking the shopping cart icon, Munchery will take you to the payment details page (shown below). Simply enter your payment information and verify that it is correct. If you’ve already applied the promo code and signed up, you should already be logged in. 5. 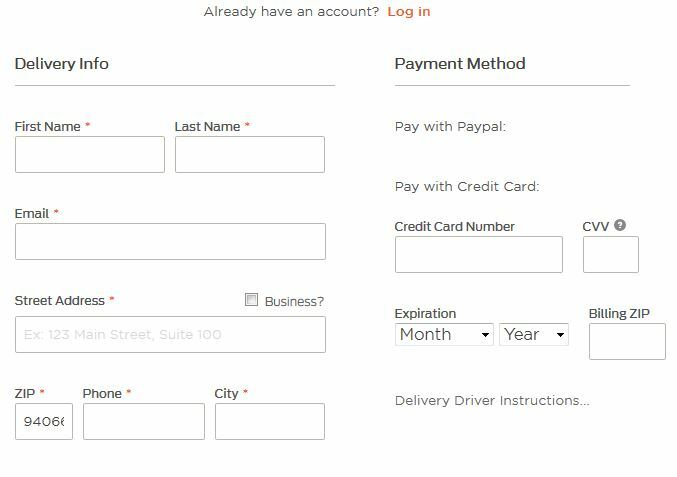 Place orderAfter verifying payment details, click the orange “place order” button to finish placing your order (don’t forget to enter your Munchery promo code)!